Star Trek fans can breathe a sigh of relief in knowing that William Shatner is still alive after Facebook published an ad saying that the 87-year old actor had passed away. Shatner took to social media to bash Facebook for posting fake news. The giant social media platform has come under intense scrutiny over the past several days after it was revealed that the company had known about a leak of over 50 million user's profile information to Cambridge Analytica. The site has also taken a firm stance on the subject of fake news, so it came as a pretty big surprise to William Shatner to learn that he had died from an ad on the site. 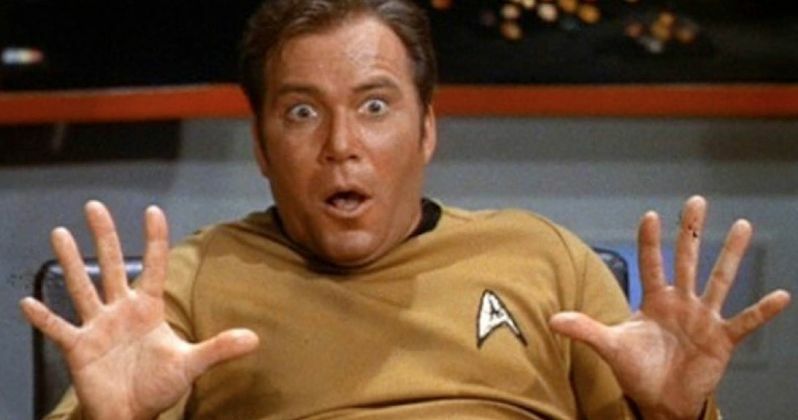 William Shatner took to Twitter to announce his displeasure with Facebook. He said, "Hey @facebook isn't this your messenger app? Thought you were doing something about this?" Shatner was referring to the spread of fake news after a fan alerted him of a fake story claiming that he had died. Rob Leathern, Facebook's director of product management immediately responded to Shatner's public message, saying "Thanks for letting us know about this. We have removed this ad and Page from Facebook." Shatner replied. "Thank you. I'm not planning on dying so please continue to block those kinds of ads." A similar ad was posted a few weeks ago claiming that Sylvester Stallone had passed away, which led to an angry response from the actor's brother, Frank, and a good-humored response from Sly as well. Stallone said, "Please ignore this stupidity. Alive and well and happy and healthy... still punching." Another story about model/actress Pamela Anderson passing away at the age of 50 has also been making the rounds this month, which was also posted from an ad on Facebook. It looks like Facebook and others, including Snapchat are having trouble with their advertisers. Snapchat recently found themselves in hot water over an ad for a new game ran on the platform that poked fun at the 2009 domestic abuse of singer Rihanna at the hands of rapper Chris Brown. The ad was swiftly taken down, but the damage had already been done and stock for the company began to plummet, which has only recently started to crawl back to normal. Rihanna was obviously not very happy with the paid ad, and either were her fans, which has reportedly led to a more focused attempt to monitor ads. As for William Shatner, he's still alive, trading barbs with Mark Hamill on Twitter over the Hollywood Walk of Fame and fueling the fire of the Star Trek vs. Star Wars battles. The actor turns 87-years old today, so happy birthday, Mr. Shatner! Facebook, on the other hand, is still in some very hot water and has a lot more explaining to do than what founder Mark Zucker had to say last night on CNN. Rest assured, their looking into their ads further to help combat fake news. You can check out what started this whole debacle below, courtesy of William Shatner's Twitter account.